WARNING: Graphic content from about 2:39. Stop watching at this point if you don't like blood & gore. 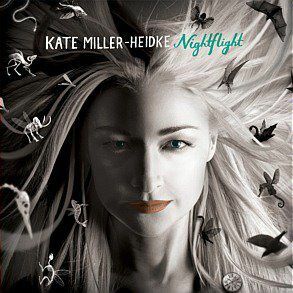 This week's song comes from the very lovely, Kate Miller-Heidke. For those of you who aren't familiar with Kate she is an Australian singer & songwriter, hailing from Brisbane. She has released four albums and has won three ARIA awards. I'll Change My Mind is an upbeat love song with rather sad lyrics. Kate says it is about a woman stalking her ex whom she can't get over. She waits outside his house and hopes that when he sees her that he'll decide he wants her back. "It's just a futile hope. If you listen to the lyrics, she's never going to change his mind; she's deluded."